The video above demonstrates how to play the fifth of seven CAGED scales, C major scale with the low E shape. The aim of this article for the beginner is to enable your body to experience this scale. Not to entertain you with theory discourse. 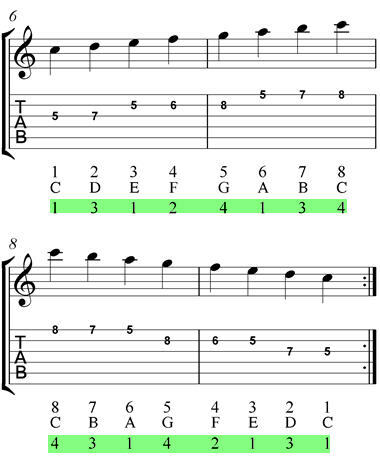 The low E shape C major scale is based on this chord here: the low E open chord. That's why the 1358 and 2467 arpeggios---in the low E shape---are diagrammed out for you here. Congratulations! 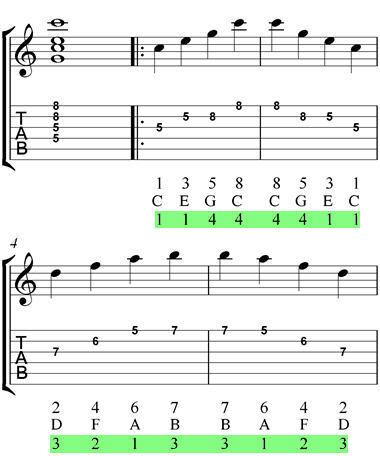 You have learned the low E Shape C Major Ladder Scale. Now onto the next shape: The High E shape for C Major.